The following are the terms and conditions of the “WSOP 2017 Iguazu Argentina Package” Promotion (the "Promotion"). The Promotion is organized by Cassava Enterprises (Gibraltar) Limited (the "Company") who is the operator of www.888poker.com (“888poker.com”). The Promotion shall commence on July 2, 2017 and shall conclude on July 24, 2017 (the “Promotion Period”). In certian cases the Company may conclude this Promotion before the end of the Promotion Period or may prolong the Promotion Period, usually due to abuse, limited up-take of the offer or error. Entry to the Promotion is available only to persons: (i) over the age of 18; (ii) who are resident in the following countries: México, Brazil, Chile, Colombia, República dominicana, Costa Rica Venezuela, Argentina, Paraguay, Uruguay, Peru, Ecuador, Panama, Bolivia, El Salvador, Honduras and (iii) have registered with the 888poker.com. You may be asked at any stage to provide the Company with proof of age and/or identity. The Winner (as defined below) shall receive a prize package which consists of: (i) playing in the WSOP in Argentina, which is held on 3-8 August, 2017 (the “WSOP 2017”); (ii) 5 nights at a hotel in Iguazu of the WSOP 2017 organizer’s choice for the nights of 3-8 August 2017 , buy-in entry to the main Event tournament held at the WSOP Argentina worth $1,000; (iii) $1,000 USD for travel and expenses (the “Travel and Expenses Amount”) which shall be paid directly to the Winners 888poker.com account ; (iv) an invitation to 888poker.com welcome session and; (v) an 888live poker kit. All entry fees and buy ins to the WSOP 2017 and the 888 Side Event tournament held at such event will be paid by the Company directly to the tournament organizer and all accommodation expenses will be paid directly to the hotel ((i)-(v) collectively the “Prize Package”). The player who shall receive the Prize Package shall be the first-place player in the WSOP 2017 Iguazu Argentina Package final tournament (the “Final Tournament”) held on 24.7.2017 at 22:00 ARG (the “Winner”). The Winner will be solely responsible for arranging his/her travel arrangements to and from the WSOP Argentina which includes but is not limited to flights and travel to and from the airports. In the event that the Winner’s cost of travel and expenses exceeds the Travel and Expenses Amount, the Winner shall be liable for the additional cost of travel and any additional expenses. If the Winner is still playing in the main event or the WSOP 2017 past the 5 nights hotel accommodation, the Company will not cover any additional accommodation or travel costs. To qualify to play in the WSOP 2017 Iguazu Argentina Package Final Tournament, a player must finish in the top 10 players in the Daily WSOP 2017 Iguazu Argentina Package Free Tournaments held at 22:00 ARG between 2/7/2017 - 24/7/2017. The tournament schedule may change so please monitor the schedule for such tournaments in the 888poker.com client. A player may only make use of one seat at the WSOP 2017 Iguazu Argentina Package Final Tournament. 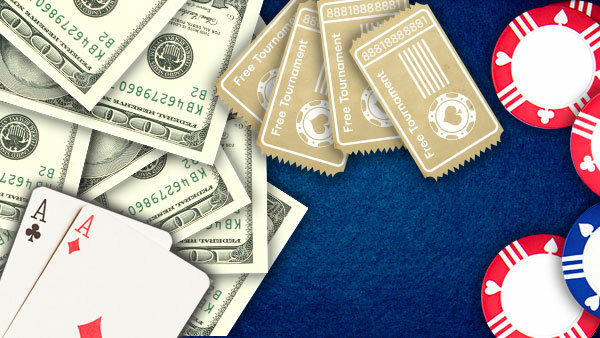 The Company reserves the right at any stage to request proof of age and identity to verify that persons not under the age of 18 are participating in the Promotion and to verify players’ registration details with 888poker.com by requesting certain documents. These documents shall typically include an identity card, proof of address such as a utility bill. The Company may request that the said document copies are notarized, meaning that the documents are stamped and attested by a Public Notary. Should the documents fail the Company’s internal security checks – for example, if the Company suspects that they have been tampered with, or are in any way provided to mislead or misrepresent – the Company shall be under no obligation to accept such documents as valid, and under no obligation to provide feedback on the exact nature of the Company’s findings with regards to these documents. In the event that requests for documents are not completed by the player and/or the players age has not been verified to the Company’s satisfaction, the Company may void the players entry into the Promotion and void the Prize Package awarded to the Winner under this Promotion. In such case the Winner shall immediately repay the Company any amounts paid by the Company to the Winner under this Promotion. The Company may cancel, modify or suspend the Promotion at any time, including without limitation, where required for security reasons, to comply with applicable law or regulation or otherwise where the Promotion is not capable of being conducted as specified as a result of exceptional circumstances beyond the Company’s control. Any provisions herein which by their nature are required to survive termination or expiration of this Promotion in order to achieve their purpose shall so survive until it shall no longer be necessary for them to survive in order to achieve that purpose. Without derogating from the generality of the foregoing, Sections 16-20 (inclusive), 22, 24, 26, 27, 29, 30 and 31-45 (inclusive) hereof shall survive termination of this Agreement. 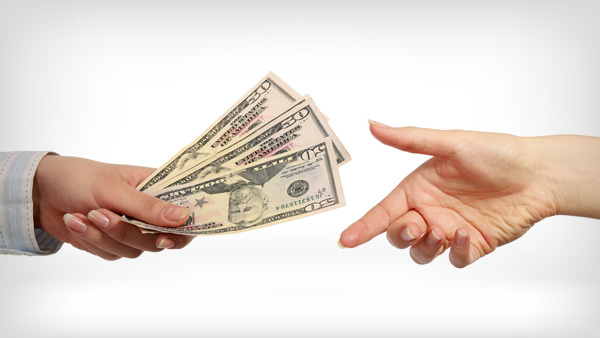 A player who enters this Promotion may be entitled to receive a Registration Bonus or Welcome Bonus. By entering this Promotion the entrant unreservedly agree that these terms and conditions and any matters relating to this Promotion shall be governed by and construed in accordance with the laws of Gibraltar and shall be subject to the exclusive jurisdiction of the courts of Gibraltar. The Website’s Terms of Service shall apply to this Promotion. The Prize Package is non-redeemable, non refundable and non-transferable. If the Winner is unable to make use of the Prize Package, you shall forfeit such package. In the event that the Winner is unable to use the Prize Package for any reason whatsoever in will reimburse the Company all sums paid by it to the Winner under this Promotion. By participating in 888 Side Event tournament held at the WSOP 2017, the Winner herby agrees to act as an ambassador for 888poker.com at such tournament which includes wearing exclusively throughout the duration of the tournament (including the final table) the branded clothing/ patch provided by the Company. Caesars Interactive Entertainment Inc and the Company will not be responsible for any tax liability associated with the Prize Package. The Winner must be at least 18 years of age to play in the WSOP Circuit Argentina . The Winner may be required to produce proof of age (passport or other valid picture ID) in order to attend the WSOP Circuit Argentina. If the Winner is not able to present such proof he/she may be excluded from the WSOP Circuit Argentina with no compensation. By participating in the Promotion the Winner grants the Company, its affiliates and their respective marketing partners, a world-wide, sub-licensable, perpetual, royalty free, irrevocable right to use his/her name, image, voice and likeness for promotional and publicity promotional and marketing purposes (whether online or offline) for 888poker.com without any compensation and the Winner expressly waives any claims against the Company and all companies within the 888 group of companies in this regard. 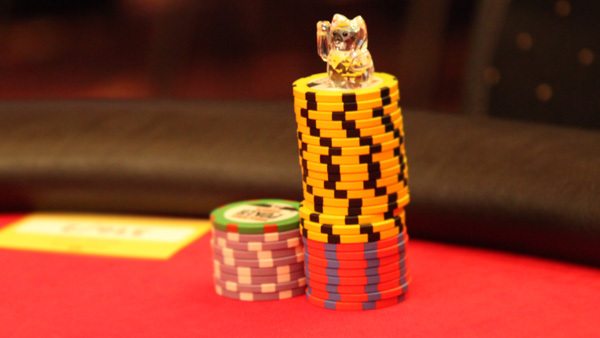 During the WSOP Circuit Argentina Main Event, strict rules regarding player behavior will be enforced by the tournament organizers which may include disqualification. If the Winner penalized or disqualified at the WSOP Circuit Argentina Main Event as a result of an infraction of the rules set forth by the tournament organizers, then the Company assumes no responsibility or liability for your entry into the event and no refund will be provided. THE WINNER OF THE PRIZE PACKAGE MUST BE IN POSSESSION OF A VALID PASSPORT FOR AT LEAST SIX MONTHS BEYOND THE CONCLUSION OF THE WSOP 2017 IGUAZU ARGENTINA AND THE WINNER IS SOLELY RESPONSIBLE FOR OBTAINING ANY VISA (IF REQUIRED) AND/OR ESTA (IF REQUIED) TO TRAVEL TO THE WSOP 2017. THE COMPANY ASSUMES NO RESPONSIBILITY FOR THE WINNER BEING UNABLE TO TRAVEL DUE TO LACK OF APPROPRIATE TRAVEL DOCUMENTATION. The Winner shall be responsible for taking out his/her own travel insurance at his/her own cost which includes but is not limited to medical insurance and lost luggage insurance. The Company has purchased the Prize Package from third party vendors and therefore is not responsible for its quality and you expressly waive any claims against the Company in this regard. By participating in this Promotion each entrant grants the Company and any third party vendors providing any services in relation to the prize granted, the right to provide his/her personal details to the third party vendor in order to have the prize delivered to such entrant. If a member’s account has been closed or self-excluded at any time up until the WSOP Circuit Argentina Main Event takes place, he/she will not be eligible for receiving the Prize Package and will forfeit such Prize package. The winner of the Prize Package may be required to complete and sign additional documentation which may include but not be limited to an insurance waiver with any third party vendor providing services in relation to the Prize Package and/or the Company and its affiliates prior to being allowed to take up the Prize Package.